Funding for university can be a concern for some students thinking about progressing to higher education. We want to ensure that students are well informed about how student finance works, what support they could receive and understand that funding should not be a barrier to attending university. One of the most daunting and worrying prospects for students going to university is how they are going to afford it. Remember there are no up-front costs and there is funding available to make higher education accessible. Our helpful guide will help banish the myths and help you understand how you can afford university. 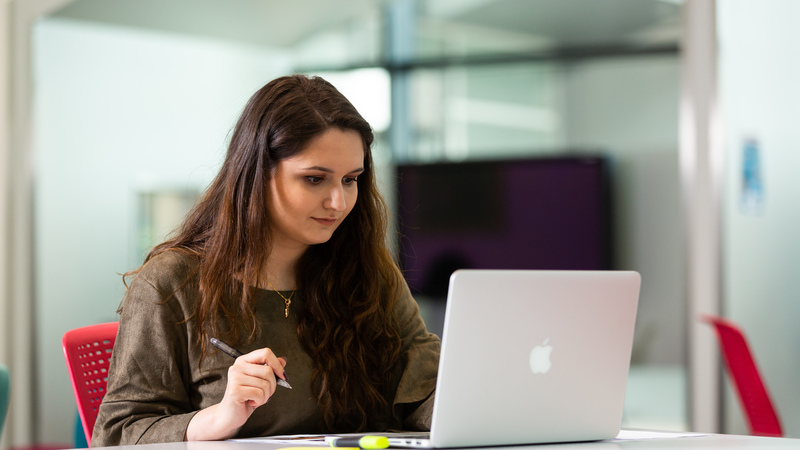 Our annual tuition fees are £9,250 per year for students starting in September 2019. These fees are regulated by the UK Government and may change each year in line with Government policy but should stay the same for the duration of your degree. Depending on your course you may have to pay for extra materials and trips. Universities may offer different bursaries depending on various criteria, which might include: the course you take, where you live and your household income. Do your research into what different universities have on offer, as there is no limit to how many you can access. You can find out what money you could be eligible for by visiting www.gov.uk/student-finance-calculator. This will estimate how much maintenance loan you could receive and if you are eligible for any extra funding, such as if you are disabled or have care responsibilities. You don’t have to wait until you have a place at university confirmed to apply for student finance – simply apply using your first choice university information. If your details then change (e.g. your place of study/family circumstances) then you can change your application online. • Have your personal details, bank details, National Insurance number and household income information handy for when you complete your application. Don’t worry - you don’t have to complete it all in one go, you can save and come back to it later. • After you have submitted your application, there will be a six week turn-around to confirm entitlement. It is important that you remember to sign and send the financial entitlement letter back to Student Finance England. Apply online at www.gov.uk/studentfinance. You will need to enrol at university before you receive your first payment. You will receive your payments in three instalments, in September, January and April. As your loan is expected to last for three to four months at a time, it is really important that you budget. You will need to reapply for student finance each year whilst you are studying. Part-time work - A lot of students have a part-time job while they are studying. Students can look for part-time work opportunities at the university or students’ union. Holiday job - Some students will have a job over the summer months where they can save up as much as possible so that they don’t have to work during term-time. Parental contribution - We know not everyone has a family that can support them at university, but students should sit down and have that conversation with their parents or guardians so that everyone is clear about any expectations of support. A lot of parents cannot support students financially at university but they might be able to offer something else e.g. rent-free living at home; occasional food shops; train tickets home etc. Overdraft - A helpful safety net but not something to be reliant upon. Students should check all of the terms and conditions because you may be charged lots of interest for your overdraft once you’re no longer a student. Budgeting isn’t the most exciting part of going to university, but it is important and for most students thisis the first time they will have access to a large sum of money. The first thing to do is to calculate how much money you will be receiving, then to calculate all of your outgoing costs. You will start to repay your loan the April after you leave university and are earning over £25,000 a year. All repayments are automatic – they come straight out of your payroll. You pay back just 9% of everything you earn over the £25,000 threshold, and these payments stop if you ever drop back under that threshold. After 30 years, your loan will be cancelled. If you are earning £27,000 a year, you’re earning £2,000 over the threshold. 9% of £2000 = £15 per month You will still need to make your payments if you are self-employed or move abroad, failure to do so can result in a penalty fine. *All fees quoted for the 2019/20 academic year. Please check our website for the most up-to-date information.